Need a professional studio or green room for video production? Our studios are affordable and available to every one at every level of experience. 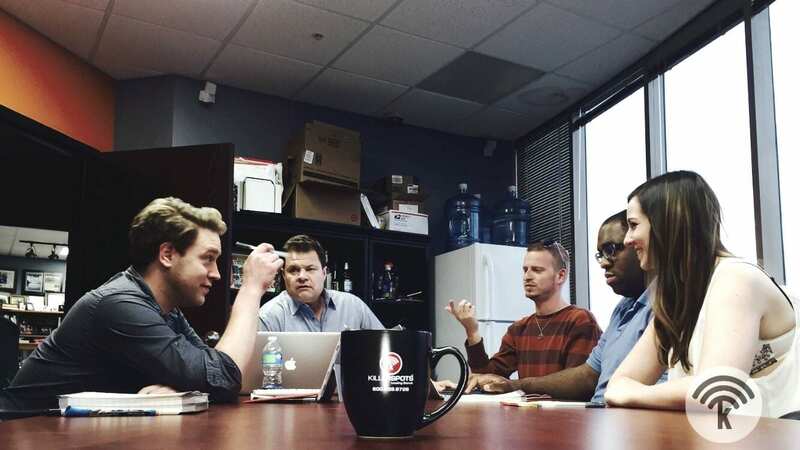 Whether you are an experienced videographer or a first time director looking to make a YouTube video series; you’ll feel right at home in our beautiful production facilities. Our professional studios are conveniently located just off Interstate 275, just minutes from downtown Cincinnati.  Killerspots.com, Inc.® offers a full broadcast radio sound booth for professional grade sound recording – which is also used by several National talents and agencies! In addition to our hard “cyc” green screen, we’ve dedicated a portion of our studio as a white hard cyclorama for photography. The wall measures 17’ in length X 12’ deep X 14’ ceiling. 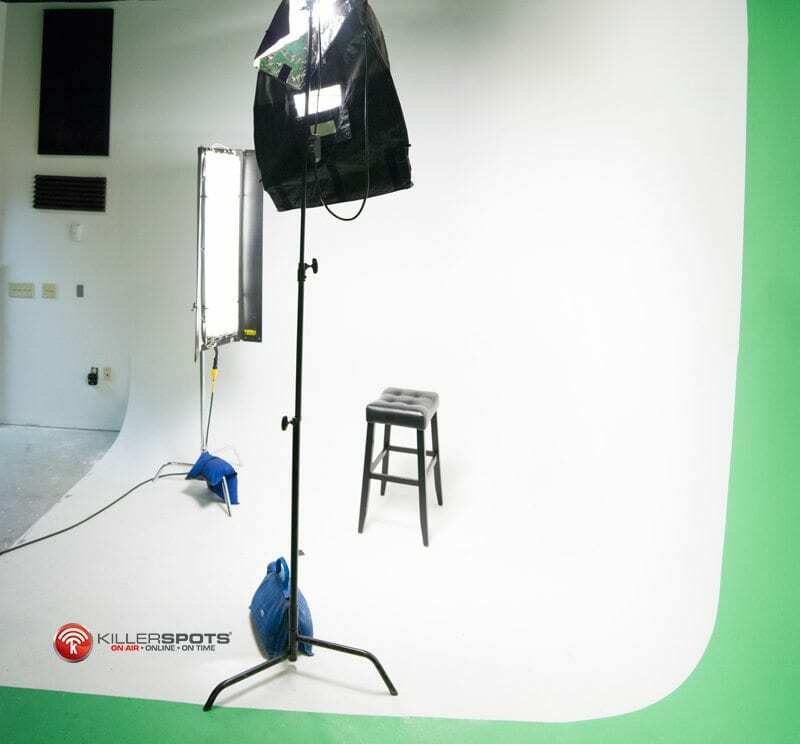 Do you need a quote or more information about green room studio rental?